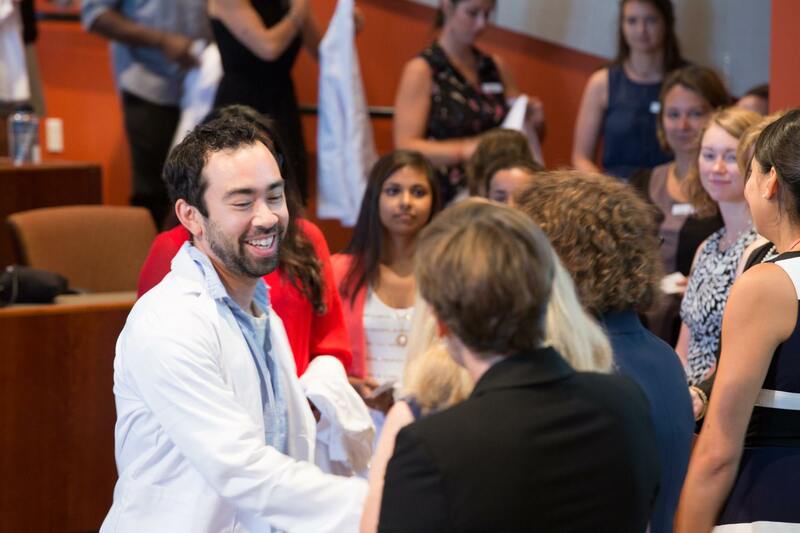 For the George Washington University School of Nursing (SON), it was the largest cohort yet. More than 90 nursing students gathered in Ashburn, Virginia, for introductions, words of encouragement from faculty members and some GW SON traditions to mark their first day as nursing students. 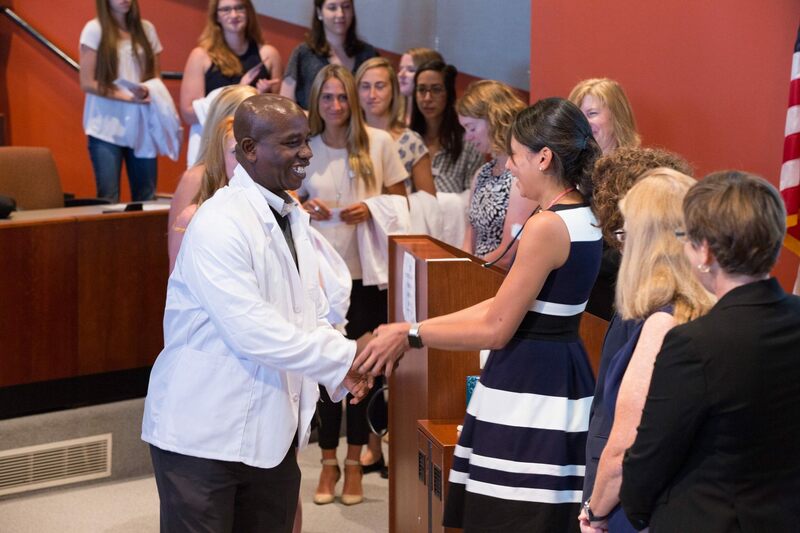 For many of the students in attendance, the White Coat Ceremony was their first step on the path to a career in nursing, and took place during student orientation in late August. 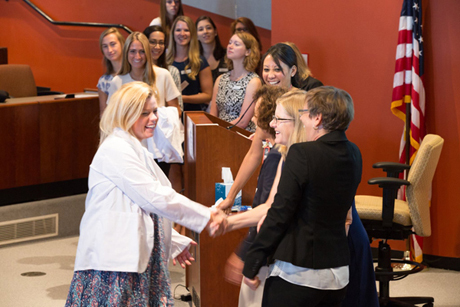 After some brief remarks from Dr. Pamela Jeffries, Dean and Professor of the School of Nursing, Dr. Tebbenhoff presided over the White Coat Ceremony, in which students don their GW SON white coats for the first time. 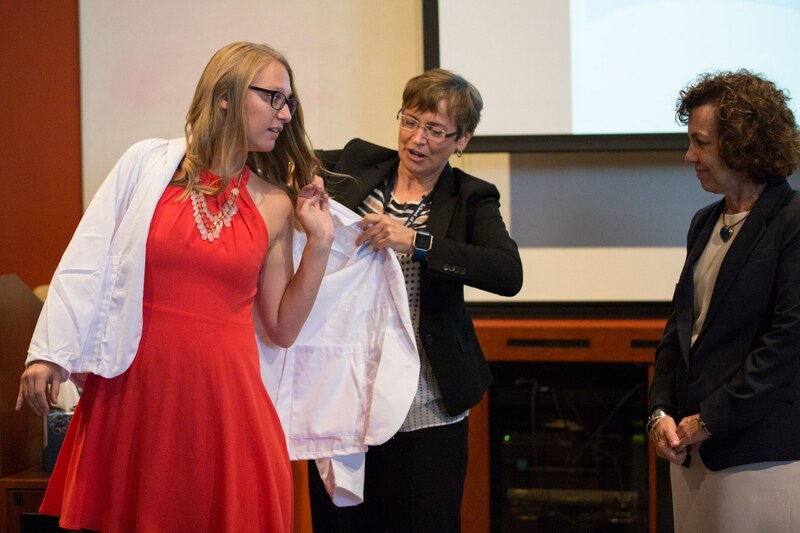 The SON conducted their first White Coat Ceremony in 2014 when the Arnold P. Gold Foundation (APGF) and the American Association of Colleges of Nursing (AANC) provided funding for 100 nursing schools, including GW SON, to pilot similar events around the country. 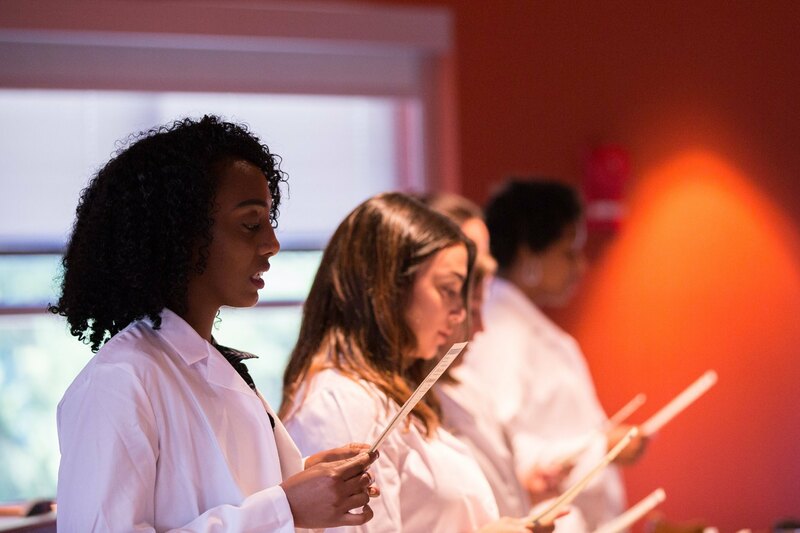 They funded the inaugural ceremonies in an effort to send a message to new nursing students that compassionate care must be a hallmark of their clinical practice. 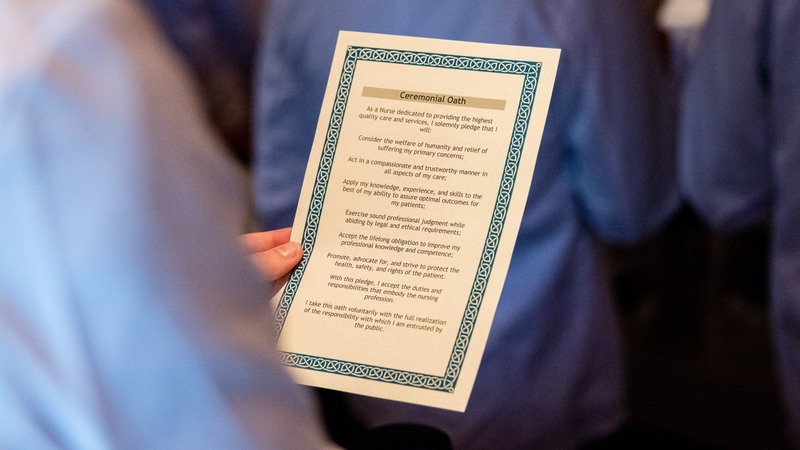 The SON has since made it an annual event.